6am starts have become the norm in the last few weeks. This is my busiest time of the year in relation to my business as such I find early morning the best time to work alone with my own dogs. So before Des goes to work and Elly wakes up I head for the Hill of Tara. Just me , my dog and the dawn chorus. After the working test last weekend it’s now time to turn my attention again to the show ring. We have two shows in the UK next weekend. We will be travelling with four dogs. Chester, Mossy, Winnie and Uisce( her first big trip abroad). Competing in the UK takes time, commitment and money. Trips are planned a long time in advance. The last thing I need a week before a show is a dog going lame . So this week excercise is kept within fairly safe parameters of road work and running on soft ground. Gundog work at the lakes is shelved until next week for any of the dogs going into the ring. I don’t worry about such restrictions when competing in Ireland as cost and time are not such immediate concerns . Bertie now has a gap between shows so it gives me an oppurtunity to concentrate on little things that are a problem in his gundog work. I have worked consistently throughout the Summer on his heelwork and sitting still in line, ( he had been creeping while waiting for a retrieve) . Both heelwork and steadiness are much improved as the marks for walk up at the last two working tests reflected. Jason, our WT secretary, had given me an excercise to work on to tighten up his hunting pattern and it has turned into one of Bertie’s favourite games, he loves it , and happily is now putting his head down and working a tighter area when asked. He had been ranging too wide. This week Colum, Mariann and I have booked an afternoon’s training session with Paul Toal . What we hope to work on is our handling skills. It should be a fun afternoon.i promise a full report after Wednesday.. This entry was tagged animals, dogs, gundogs, writing. Bookmark the permalink. 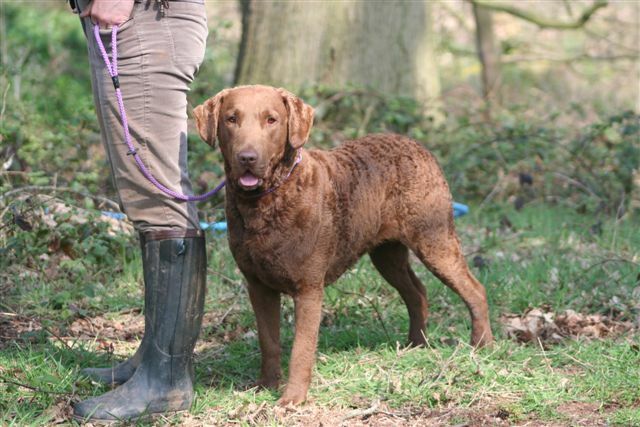 ← Will the real working gundog please stand up?